A party-theatre, interactive experience featuring original comedic plays on the topic of BEDLAM. This year's Bedlam invites you into an exclusive rooftop bar in the heart of Times Square, the citizenM cloudbar. This year’s Bedlam theme came about as a reflection on the world we live in and its current topsy-turvy nature. Although Shiyr approaches the world through a comedic lens, we do not avoid its realities. It’s a chaotic world and while serious conversations are necessary, we believe laughter is equally as important. 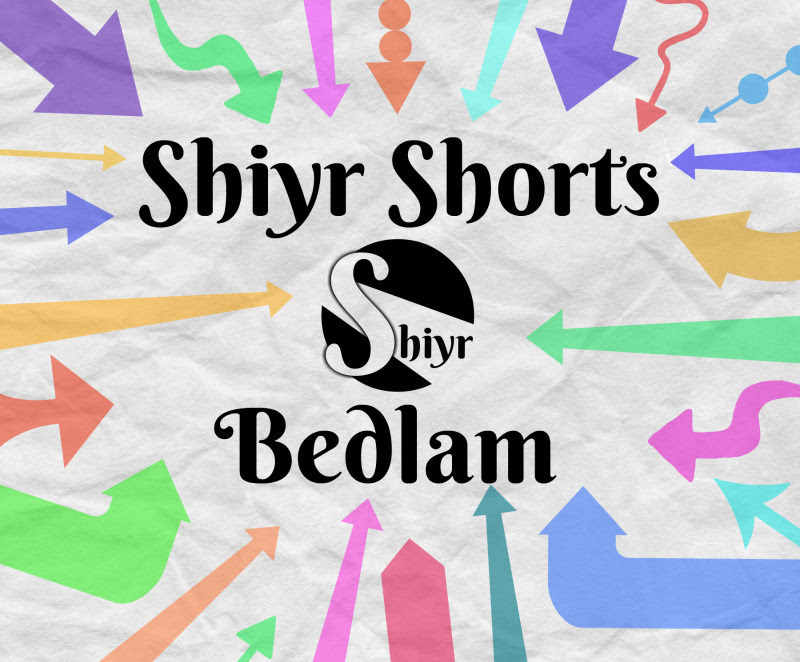 With Shiyr Shorts: Bedlam, we choose to lean into the Bedlam around and inside all of us. Come for a laugh. Stay for a themed drink and leave feeling lighter than you came.